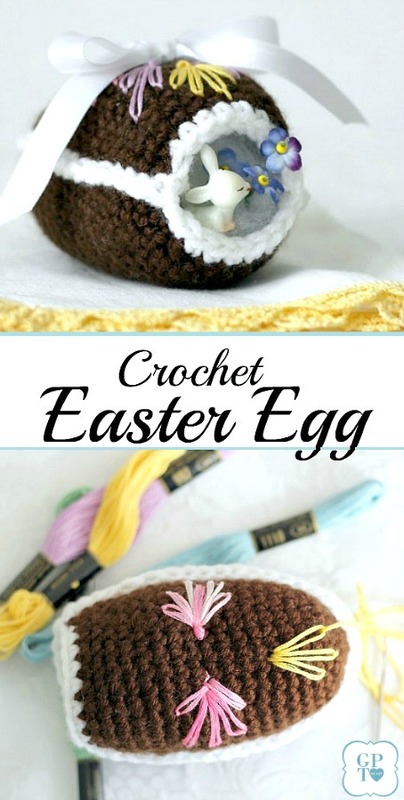 Crochet Easter Eggs bring back so many memories. As time goes by we are apt to grow more appreciative of the instruction and teaching received from our parents when we were children. I remember the frustration and difficulty as my mom tried to teach me to hold a crochet needle correctly and to keep my stitch tension even. She was patient and she was very skilled. One year my mom and her life-long friend decided they would teach a 4-H knitting class and that both myself and her friends daughter would attend. They must have thought highly of our ability to pick up quickly because they chose a rather difficult laced slipper pattern. I remember it vividly. Perhaps because my fingers ached as I pushed the needle through very, t.i.g.h.t stitches. I struggled with that tension part of knitting. But somehow we managed and proudly submitted our finished slippers for the judges approval and reward of a blue ribbon. My mom spent a lifetime creating beautiful items with her hands. She sewed every dress I owned and it wasn’t until I turned 8 years old that I had my first store-bought dress. I fell asleep each night to the sound of her Singer sewing machine. In her early days knitting was her preference. I still have her collection of pattern books dating back to the 1940’s. 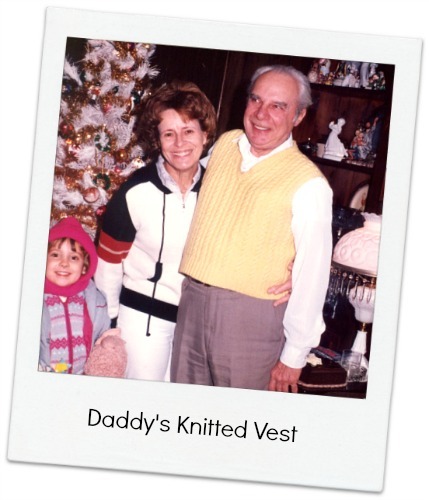 She knitted my dad a pale yellow vest that he wore for decades. But I think it was crocheting she most enjoyed. Every grandchild had a wardrobe full of sweaters, hats and booties in every color of yarn available back then. Those same sweaters are worn by this current generation of babies in our family.Early in our marriage, my husband and I moved more than 400 miles away. Soon I was expecting our first child and Mommy flew out to visit. 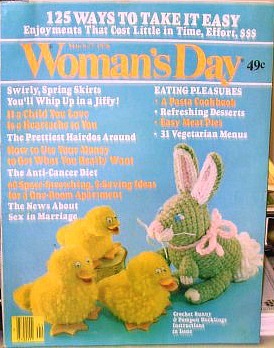 I had a 1978 Woman’s Day magazine that featured some adorable Easter crochet patterns. Well, you can guess how we spent many hours during her visit. 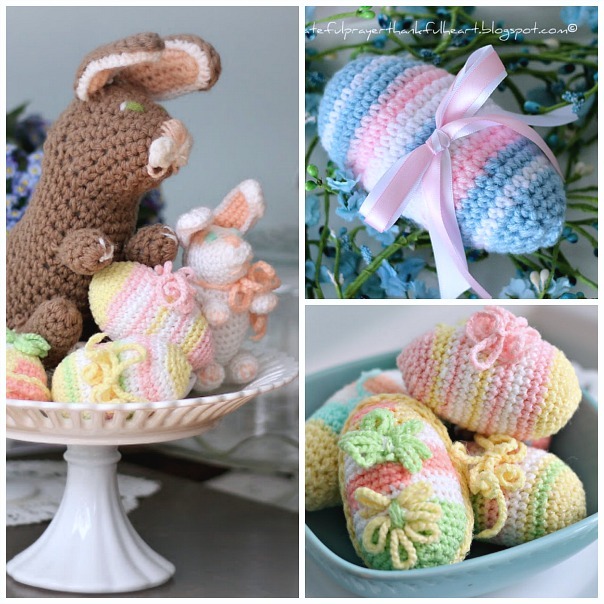 Through the years crocheting many eggs, I altered the pattern for different looks. I love this chocolate-like egg with the little opening and faux frosting mimicking eggs that filled my Easter basket. 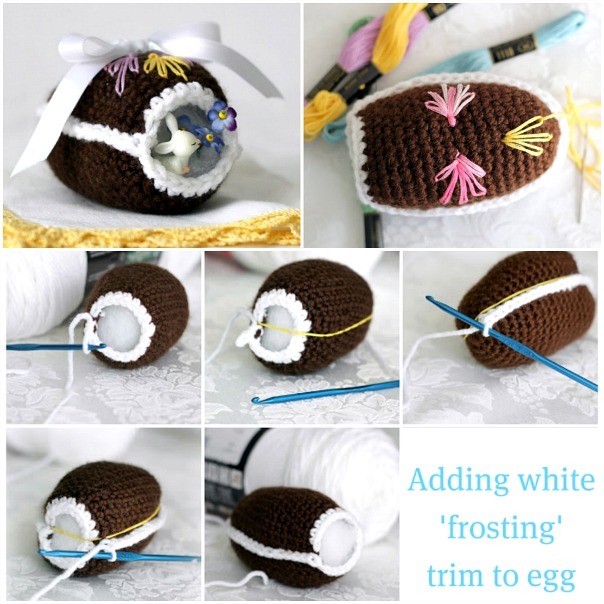 Click Crochet Chocolate Diorama Easter Egg to go to the post with the pattern. 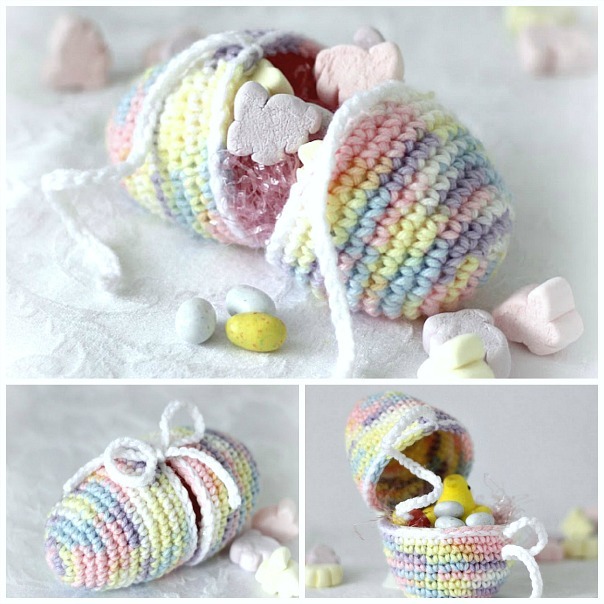 Tuck little treats or tiny treasures into this egg or tie it closed with a bow. Made using soft pastel colored variegated yarn. Click Crochet Easter Egg to go to the post for the pattern. The eggs in the bowl were made by my mom during her visit all those years ago. 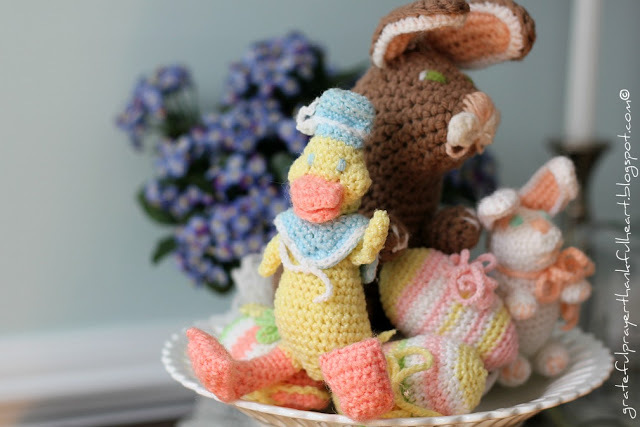 Mommy preferred working with sport weight yarn so her crocheted eggs are smaller than eggs worked with worsted weight yarn. 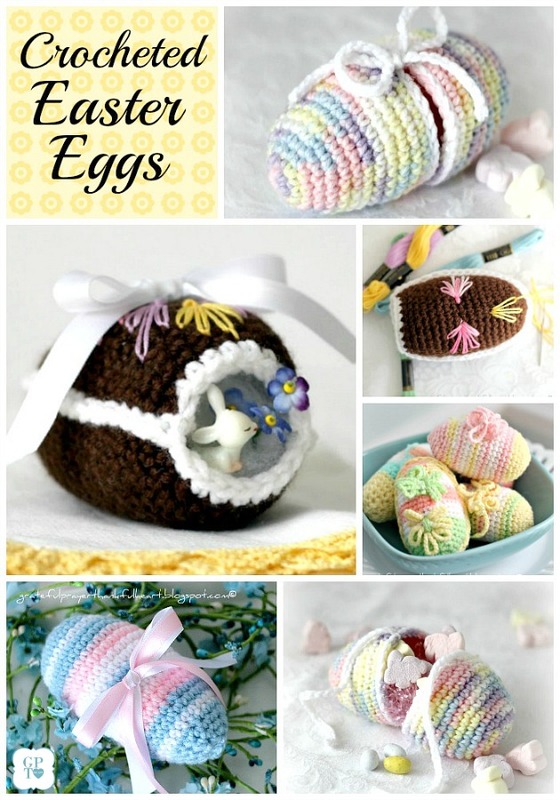 Click Crochet Easter eggs for the pattern. The pink, blue and white egg is sweet for baby’s 1st Easter. I made a video tutorial that is great for the beginner crocheter. 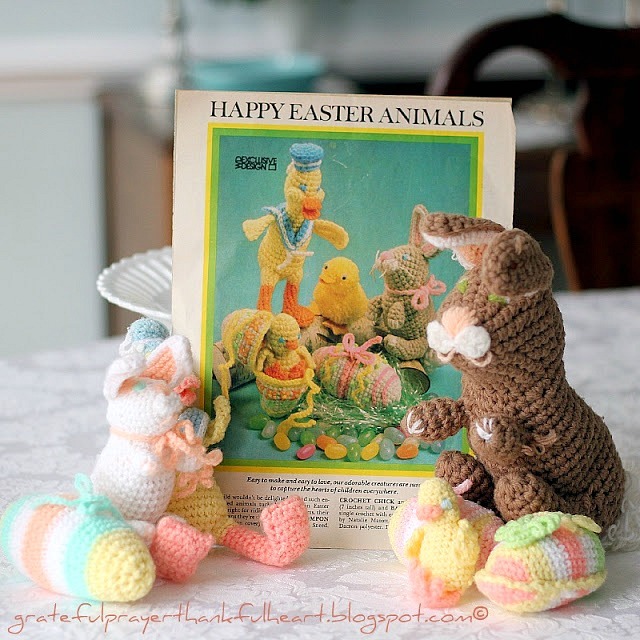 To find the pattern and video, click Crochet Easter Eggs Tutorial. I’m happy to have my mom’s Easter decorations and I am even happier she took the time and effort to teach me how to create with my hands. There is a special joy in passing down a skill from one generation to the next. I’ve taught my four daughters to crochet and one of them frequently has a project on the go. Now, with grandchildren coming along, I hope they too will learn and create as those that went before them. Those are super cute! Would be a fun project for my mom! She is great at crocheting. have a lovely weekend and the pesto looks wonderful. Maybe will make it for tonight since it is st. Patricks. I enjoyed reading about your talented Mother. The Easter decorations she made are just delightful. You were blessed to have her for a mentor. I especially like the Easter eggs in pastels.